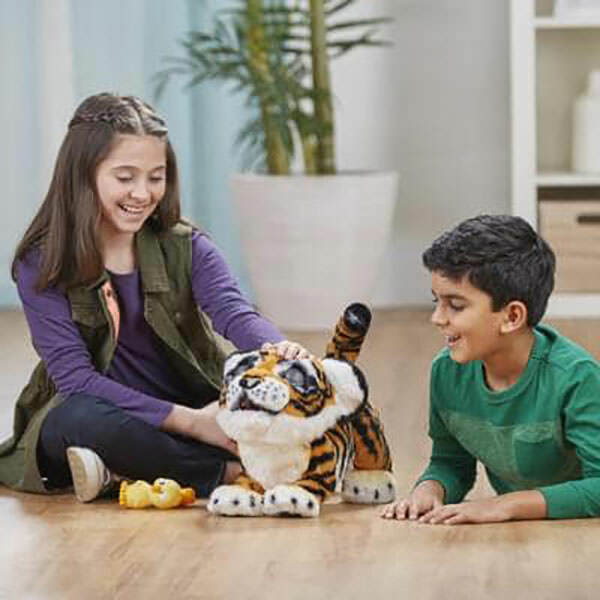 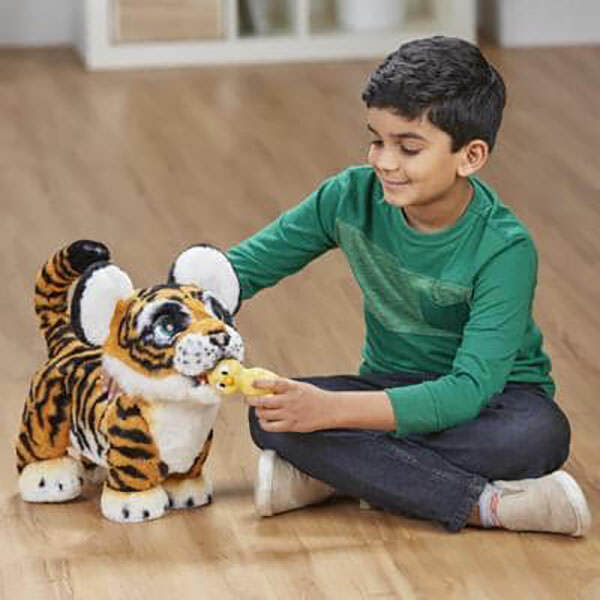 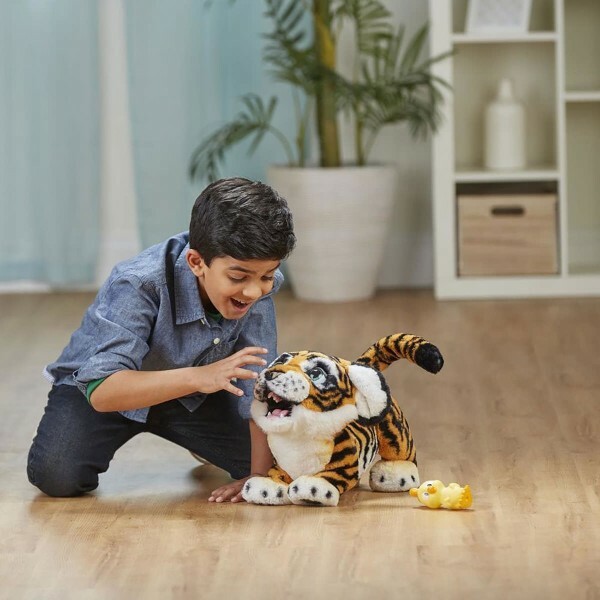 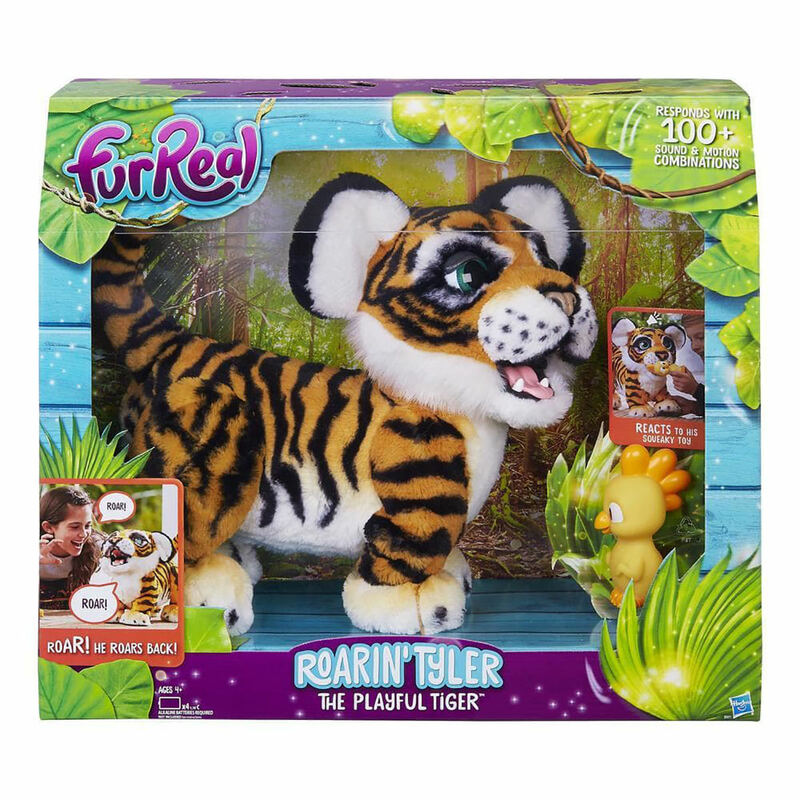 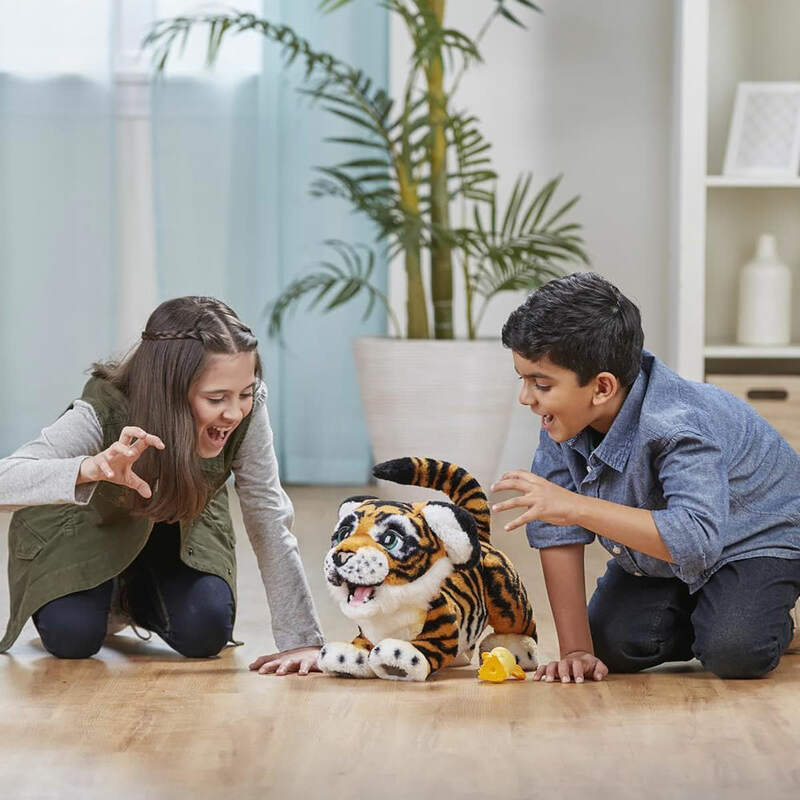 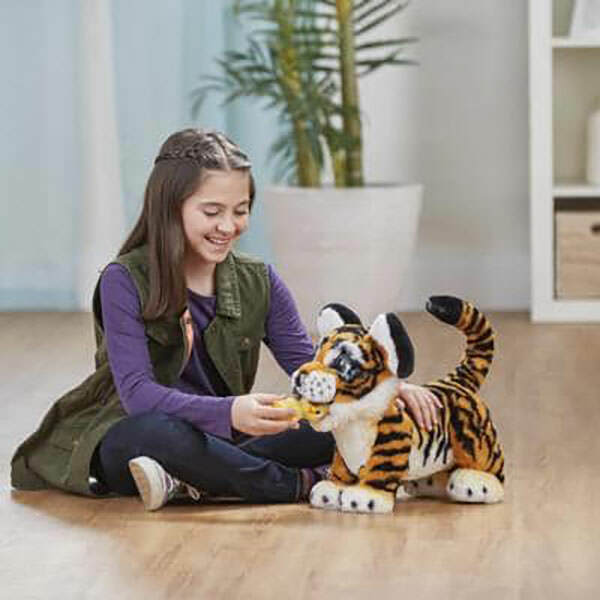 The Roarin’ Tyler, the Playful Tiger pet even has a little chicken toy that he reacts to when it squeaks. 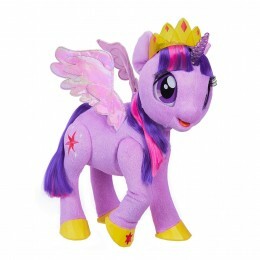 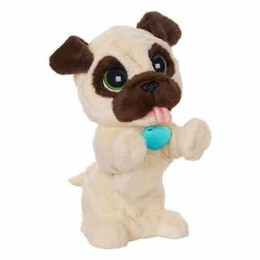 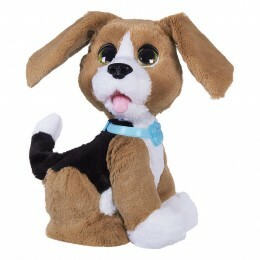 And with poseable back legs, he can be hugged and cuddled. 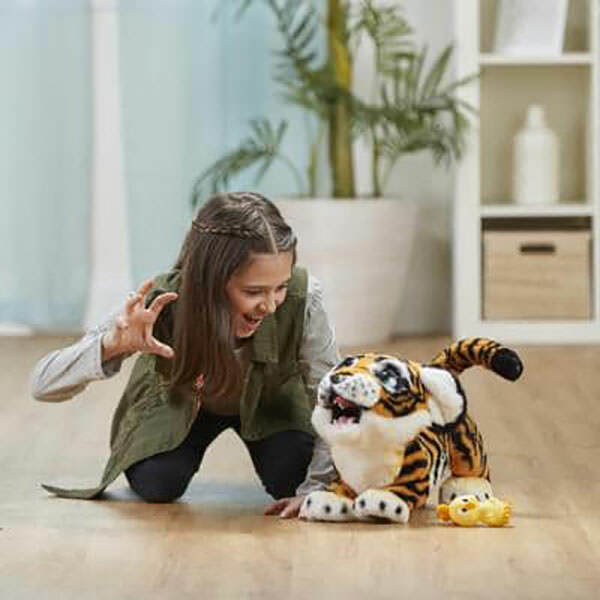 He’s an exotic, fun-lovin’ pet!